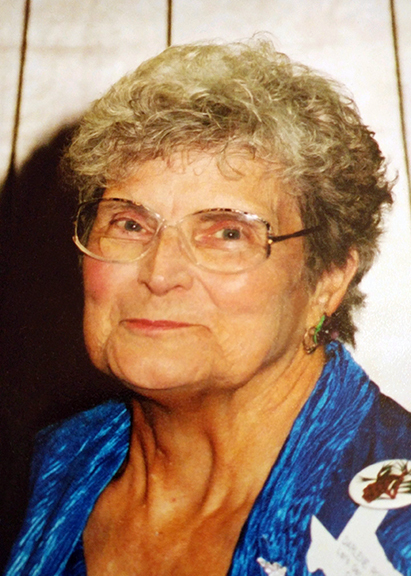 Darlene Mae Robinson, 90, of Kountze, died Saturday, February 9, 2019. She was born on February 4, 1929, in Waterloo, Iowa, to Hazel Irene Smith and Ernest F. Griefnow. Darlene was a member of the Fraternal Order of Eagle #764 in Waterloo, Iowa, Vidor Chapter #914, Kountze-Sour Lake Chapter #724, and Beaumont Chapter #71 Order of the Eastern Star. Survivors include her daughter, Susan Huebner and her husband, Jack, of Lumberton; and sons, Curtis Tomkins and his wife, Susan, of Waterloo, Iowa; and John Tomkins and his wife, Val, of Iron River, Wisconsin; twelve grandchildren; seven-teen great-grandchildren; and seven great-great- grandchildren. Darlene is preceded in death by her parents; her husband, Gordon A Robinson; daughter, Judith Mullen; brothers, Kenneth and Robert Griefnow; and great-granddaughter. A gathering of Mrs. Robinson’s family and friends will begin at 10:00 a.m., Saturday, February 16, 2019, with her memorial service at 11:00 a.m., at Broussard’s, 530 West Monroe, Kountze. A private family committal was held at Broussard’s Crematorium, Beaumont. 10:00 a.m. until 11:00 a.m.
Our condolences to Darlene's family. I am Rick Boose's wife and remember the kindness and thoughtfulness that Darlene showed to me and my children when they were little many years ago. Please let us know when the memorial service will be here in Waterloo IA. We would love to come. Memorial Service in Waterloo will,be April 13 at 11am at the Fraternal Order of Eagles Hall in Waterloo. My condolences to your family. Always heard good things about her. Darlene was a treasured volunteer of the Retired Senior Volunteer Program for over 15 years, always willing to help. I am so sorry to hear of her passing. Thoughts and prayers to her family in the days ahead. So sorry for your loss Curtis and Family. Hugs! I will miss you my sweet cousiin. We are sorry for your loss, Matt! We are praying for y'all. We love you!